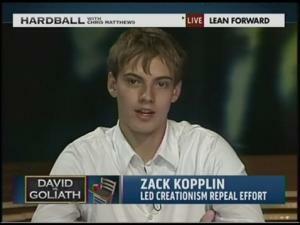 You can catch 20-year-old champion of evolution Zack Kopplin debate two Discovery Institute ID-advocates, Michael Medved and Casey Luskin, today on Medved’s radio show beginning at 4pm EST by clicking here. The bill recently died in committee for the third year in a row, but these brush fires continue to sprout up, and I’m glad we have individuals like Kopplin standing up for scientific integrity and separation of church and state. Should be a fun interview – I’m not sure exactly of the context, but Medved and Luskin would need to start debating 10-year-old’s to have any shot at winning a debate on ID in public schools. Matt Chandler is a likable guy. He really is. I don’t have any trouble understanding how he’s been able to turn what was originally a dying congregation at Highland Village Baptist Church in Flower Mound, Texas into a 10,000 member, four campus mega-community of worshipers now collectively known as The Village Church. I get why he was recently named President of the Acts 29 Network, a church-planting initiative founded by Seattle-based preacher Mark Driscoll. I get why he’s got the #3 podcast in the “Religion and Spirituality” section of iTunes and a best-selling book, The Explicit Gospel. I get it. He comes across as real and genuine and somebody you want to be friends with. I’ve felt this way about him myself while sitting in on several of his sermons in Dallas. But Matt Chandler is dangerous. He has that rare combination of charisma, ignorance, and influence that endears him to many and makes him seem trustworthy (…George W. anyone?). His book, The Explicit Gospel, has what must be the most frustrating section on science I have ever read (you can read my review of it on Amazon here, but just to give you a preview, he calls himself an “agnostic” on science…despite having just survived brain cancer). He of course denies evolution, but as you’ll see in the video below, he does so in a moderately sophisticated way, appealing to straw man arguments and misinformed rhetoric. When I first found this video, it had zero “dislikes” – I’ve tried casually to bump that up through initiating discussions in the comment section, but don’t think I can rest until that figure overwhelms the number of “likes”. It isn’t just that Chandler is dangerous for people like me, who care about scientific integrity and truth, but he’s also, I think, dangerous for Christianity. He asserts a dichotomy between evolution and belief (ie. you must pick one or the other) that I don’t think can survive the modern age of science and reason. Evolution is not going anywhere and Christians who insist on denying it will isolate themselves even further along the fringes. So, in a strange paradox, I think as many believers should be just as upset with Chandler as nonbelievers (I should point out that Chandler simply doesn’t seem to understand evolution…it’s possible, but not likely, that if he did he would come around). Of course, I actually agree with Chandler that it is a dichotomy – that evolution is incompatible with evangelical Christianity – but I’d rather see moderate Christians embracing evolution (no matter how logically inconsistent the idea of “moderate” Christianity may be) than creationists continuing to insist that it’s “just a theory”. That pretty line above is from poet Muriel Rukeyser, and it’s used skillfully by physicist Sean Carroll in his keynote speech at the 2013 American Humanist Association Conference in San Diego just a few days ago. The talk is titled “Purpose and the Universe” and if you’ve never heard Carroll lecture before, I recommend sitting down for an hour and giving him a listen. He’s entertaining, likable, and has a knack for lucidly explaining concepts like quantum field theory in just a few slides. 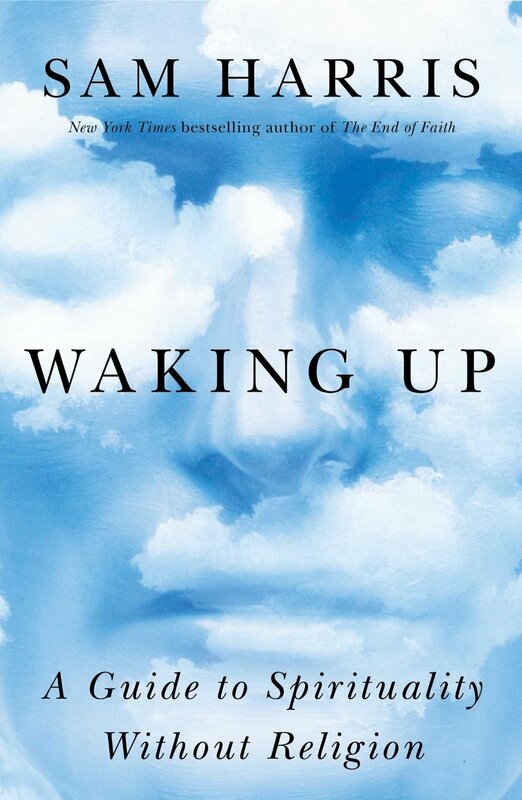 Carroll’s claim that the “laws of physics underlying the experiences of our everyday lives are completely known.” He’s of course not saying that physics is done or that there aren’t undiscovered particles or fields, but that we do know a complete regime of physics, and anything else we discover won’t have any real application to our lives. He explains exactly how we know that, and why we can rule out certain alternatives (assuming quantum field theory is correct). The completeness of this regime has obvious explanatory power, and can absolutely demolish particular claims that would require a different set of physical laws – one obvious one is astrology and another, which is equally implied by the laws but harder for many to accept, is life after death (see this blog post by Carroll for more on that). Carroll’s disagreement with many of his atheist/humanist colleagues that science will be able to supply answers to questions of purpose, right and wrong, and ultimate meaning. These concepts, Carroll thinks, must be judged more practically and cannot be reduced to the laws of physics (though any answers we come up with certainly shouldn’t be incompatible with the laws of physics). Learning that the underlying reality of the universe is made up not of particles but of waves and fields. The act of observation distorts the field in a certain way so that we “see” particles, though at its base nature is simply a collection of vibrating fields. Special guest Richard Dawkins (who was in town to moderate a panel on “Religion as Child Abuse”) asking a question at 1:00:56 and making a slight correction to one of Carroll’s slides. How cheeky.